I guess it is now my turn! 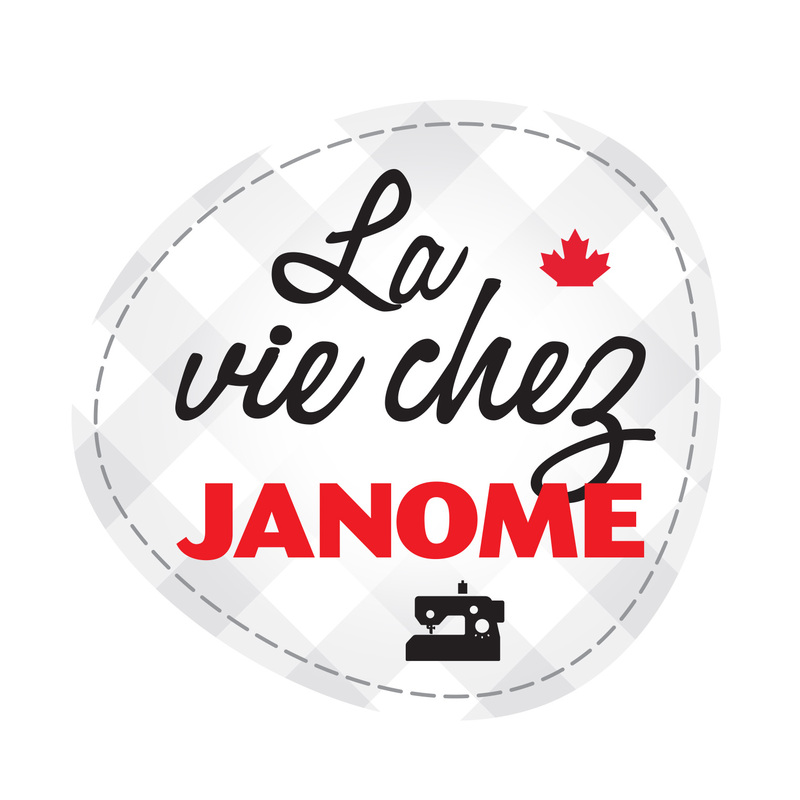 I’m Liz and I am also an Educator with Janome Canada. Why the africa part? Well, I don’t talk like a Canadian as I was born & raised in Africa…. but I’m now a proud Canadian – HAPPY CANADA DAY everyone. I work in Western Canada traveling across 4 provinces to shows and dealer’s stores etc. Like Linda, I love my job, have loads of fun and totally enjoy getting to meet so many wonderful and talented Janome dealers & customers. I started making garments for myself and my dolls when I was 9 years old – little did I know it would later become an all-consuming passion and full-time career! My background in teaching Languages & lecturing Business Communication led me to combine my love of teaching with my passion for sewing & quilting : I established my own Sewing School and retail store where I specialized in Smocking and Heirloom sewing before emigrating to Canada. 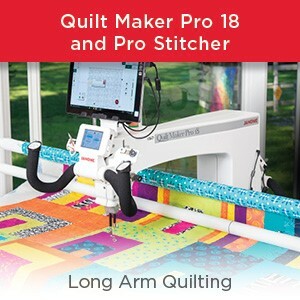 Quilting is probably my favourite though I also sew garments (could not do without my computerized 5 thread serger); love making Home Dec projects and machine embroidery is up there amongst my top choices. Also could not manage without the Janome 6600P; Janome Horizon and Janome MC11000 Special Edition. I have just spent the entire long weekend making clothes (completed 3 skirts, 3 tops and summer pj’s) after being inspired to get back into making garments at one of our Sewing shows a few months ago (Thanks, Marilyn for asking me to model in your Fashion Show – made me realize my closet seriously needed attention!. However, I did not have much time for sewing since that Show in April as I have been on the road for a couple of months promoting and selling our FABULOUS new Janome Horizon machine. Now that I am back home, I hit the stairs to my sewing room and sewed up a storm (Thanks to my hubby for giving me the freedom to spent all that time “catching up” on sewing projects and bringing me tea & meals…you are a keeper!) . I will post pics of some of these outfits as well as some of my recent Horizon travels….Marvin (our Horizon “sausage doggie” mascot) came along with me – watch for future pics to prove that. I have lots of projects, ideas and tips to share …….so keep watching this blog. Let me know if you have specific questions or ideas to share with us. 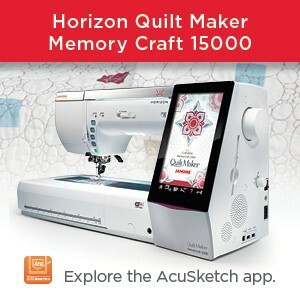 This entry was posted in Janome Canada Sponsored, Janome Sewing Machine and tagged Janome Educator, Liz. Bookmark the permalink. Glad you liked the post. I went to several of Lesley’s shows when she basically packed up her home to display all her students work. Beautiful work and I own several of her books. I have not done much handwork like that for many years as my life went in a different direction after I came to Canada but I have very fond memories of smocking and silk & satin ribbon embroidery. No, I did not know Claire. I took classes for a while with a lady out on the Eastern side of Jhb where I lived. Oh you will love your 500E when you get going with it! 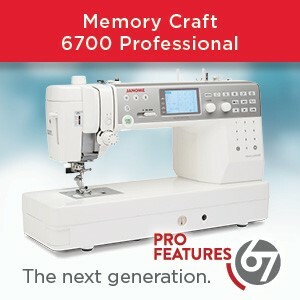 It is a VERY popular machine and adds so much fun and potential to your sewing. ENJOY! I sure enjoyed your presentation in Kamloops last night. I left with a lot of ideas for finishing some of my “in progress” quilting projects. Love the Binding Foot that you demonstrated and the samples where you used embroidery designs to quilt. I would like to enter the draw for the book – Teaching Kids to Sew, but don’t see how to do that here on your blog. Would you please let me know how to submit an entry. Glad you enjoyed the evening and gained lots of ideas to use in your sewing room. I have entered your name into the draw which I will do in the next day or 2 & notify the winner on an upcoming blog post……you never know – you might be the lucky one! Just wondering if you can tell me what is wrong with my MBX software. When i plug the dongle in, the program will not always open. Sometimes, I need to take the dongle out a few times before it will open the program. Is this a common problem? Thanks for your patience. I have been away on vacation for 3 weeks but I will address your query as soon as I return to the office. Thanks so much for your help this afternoon. You are an angel for helping solve the problem and eliminate my frustration! Much appreciated! I was interrupted by a trip to Prince Albert this afternoon so just got around to fixing the problem now. MBX opens now! Woohoo! I should be on my way! So glad we were able to have a conversation that solved your problem. I know how frustrated I was by your same problem so I’m glad I was able to help. HAPPY DIGITIZING in 2013!! I just got a call from the Janome software support even though I did email and let them know I talked to you. She had a couple more suggestions: a powered USB hub – I’ll try to find one! As well, apparently it is a good idea to turn the computer off every night. A new habit to get into for the New Year! Thanks for sharing that & so glad you are up & running again! Yes, I am the one Jayne is referring you. Perhaps you could call me at the office in Vancouver (604)946-8060 and we can discuss options. I am away at the Edmonton show for the rest of this week but will be in the office most of next week.